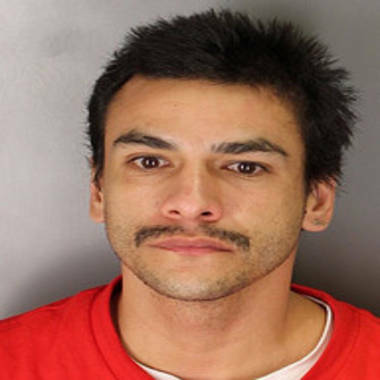 Authorities say Hector Celaya, 31, was fatally wounded in a shootout with detectives. A man shot four people dead, including a child, on a Central California Indian reservation and wounded two other children before being killed in a shootout with detectives after a car chase, authorities said. The violence started Saturday night on the Tule River Indian Reservation in Porterville, Calif., the Tulare County Sheriff’s Office said. Deputies responding to a 911 call found a man and a woman shot inside a trailer and a male juvenile suffering from an apparent gunshot wound. Irene Celaya, 60, and Francisco Moreno, 61, were confirmed dead. Six-year-old Andrew Celaya was transported to a hospital. At a shed on the same property, deputies found the body of another man, Bernard Franco (AKA Moreno), 53, who died of an apparent gunshot wound. The person who called police said the suspect fled the scene in a green Jeep Cherokee. Authorities identified the suspect as Hector Celaya, 31, and said he had taken his two daughters, 8-year-old Alyssa Celaya and 5-year-old Linea Celaya. Deputies said the suspect had allegedly shot the children. A deputy spotted the suspect’s vehicle and tried to stop it but the driver kept going, the sheriff’s office said. Linea received non-life threatening injuries. Alyssa died from her gunshot wounds. The suspect eventually stopped on the side of a road and a shootout ensued, authorities said. The suspect was shot and was transported to the hospital. He later died, the sheriff’s office said. All victims were related to the suspect and members of the Tule Indian Reservation. No further details were released. The sheriff’s office did not say what may have precipitated the shootings.